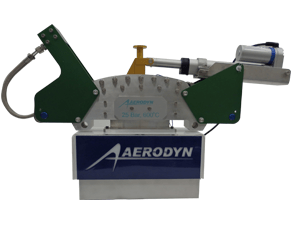 Aerodyn supply Standard Traverse Systems that can be used to move probes either radially or circumferentially in gas turbine engines, rotating machinery, and other aerodynamic test rigs. 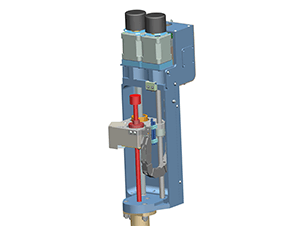 These extremely well-engineered devices are designed to withstand the rigours of long test campaigns in harsh environments, when vibration levels and temperature values can go well beyond the operating capabilities of the less-specialized, off-the-shelf alternatives. A radial traverse can be mounted onto a circumferential traverse to create an Area Traverse. This can sweep a probe over an entire sector of the flow annulus. We also have a core design team who have experience in working in close collaboration with customers to design, develop and manufacture Custom Traverse Systems. Custom traverses are necessary when a customer has requirements not satisfied by a standard system. These requirements usually present new challenges that are varied and, in some cases, so extreme that a completely new design concept must be developed. Radial (linear) traverses can be used to move a probe sensor to any radial position across the flow annulus. These can also have the option to rotate a probe in yaw direction in order that its sensor is aligned with the flow swirl direction. A radial traverse can be manufactured such that its size, stroke, and length are optimized for the customer’s requirements, which can be particularly useful if there is limited space around the test vehicle. Although the design and manufacture of radial traverses is specialized work, the engineering concepts involved are relatively straightforward and easily understood. This is because, by using an appropriate seal around the circular probe stem, it is possible to isolate the traverse itself from the influence of the flow that is being measured (which is particularly convenient when measuring high pressure and/or high temperature flows). It is also possible to design a traverse that is independent of the test vehicle geometry. 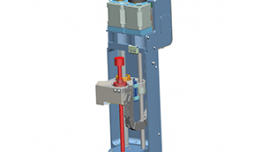 A circumferential traverse is used to provide rotational movement around an engine or test rig axis. The design of a circumferential traverse can be extremely complex, since it is necessary to provide the required range of angular movement, whilst also ensuring that the rotation is concentric with the test vehicle center line. 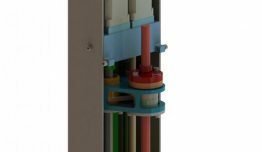 It is necessary to have an effective seal that prevents the escape of fluid from the test vehicle, whilst also having a structure that can tolerate the gas flow temperatures and pressures. Often, the circumferential traverse design must be closely integrated with that of the test vehicle, with a well-defined mechanical interface. By combining a radial traverse and a circumferential traverse, it is possible to perform an area survey across a whole sector of the flow passage. Area traverses are most commonly used in locations where there might be significant radial and circumferential variations in the flow properties of interest (e.g. speed, pitch angle, yaw angle, total pressure, total temperature, turbulence intensity). In this case a radial traverse is attached directly on to the moving element of a circumferential traverse. It is by far the easiest solution, since the design principles for both traverse types are well understood and, in many cases, suitable designs already exist. 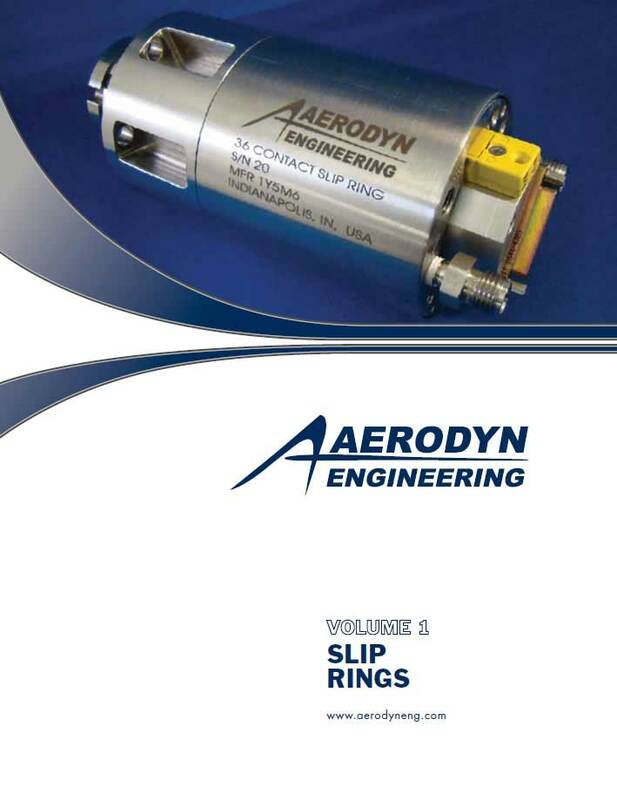 All that remains is to help the customer select a suitable length for their probe to ensure that this is compatible with the test vehicle diameter, flow annulus height, traverse size, and required range of traverse movement. As noted above, the easiest way to produce an area traverse is to simply bolt a radial traverse on to the sliding element of a circumferential traverse. 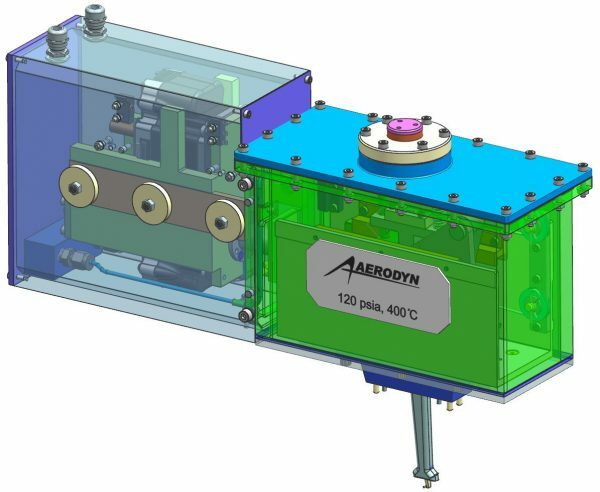 However, this has the disadvantage that the hardware space envelope, weight, and overall traversing capabilities are not always optimized for a given application. 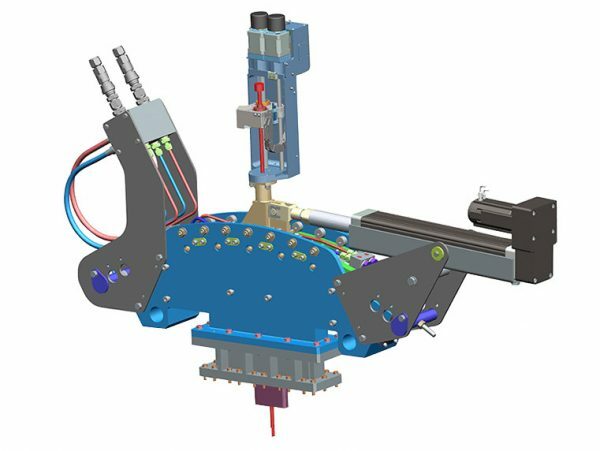 Consequently, it is quite possible that this arrangement will not satisfy a customer’s specific requirements, so it becomes necessary to produce a custom design. 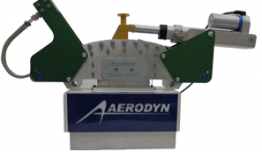 For example, Aerodyn have recently produced a new traverse design that fully integrates the radial and circumferential traverse mechanisms, which allows it to be packaged into a very small space envelope. This meets the customer’s primary requirement that it fits onto a very small turbo machine, whilst also satisfying all secondary requirements relating to traverse strokes and speeds. 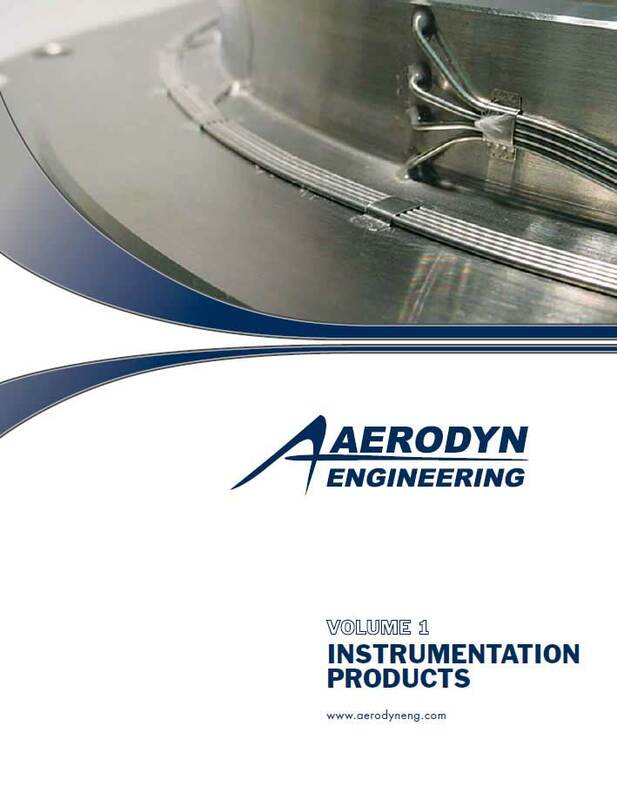 Aerodyn design and manufacture traverse systems that can be used in a variety of situations, ranging from measuring and inspection applications through to the manipulation of probes and sensors in gas turbines and other rotating machinery. Although we offer standard traverse solutions whenever possible or applicable, we excel in the design and manufacture of specialized equipment for use in challenging environments. We can provide custom traverse designs for the most challenging applications, whether it be restrictions on available space or the need to tolerate hostile environments. Please note that custom traverses are not necessarily a more expensive option. Whenever possible we recommend a low-cost option where we modify equipment that is already generally available. This approach sometimes works well where customers require particularly large traverse systems, but special consideration must be given to environmental issues such as vibration levels or temperature values. A circumferential traverse with a high-pressure capability was required. This resulted in a complete redesign of an existing product. 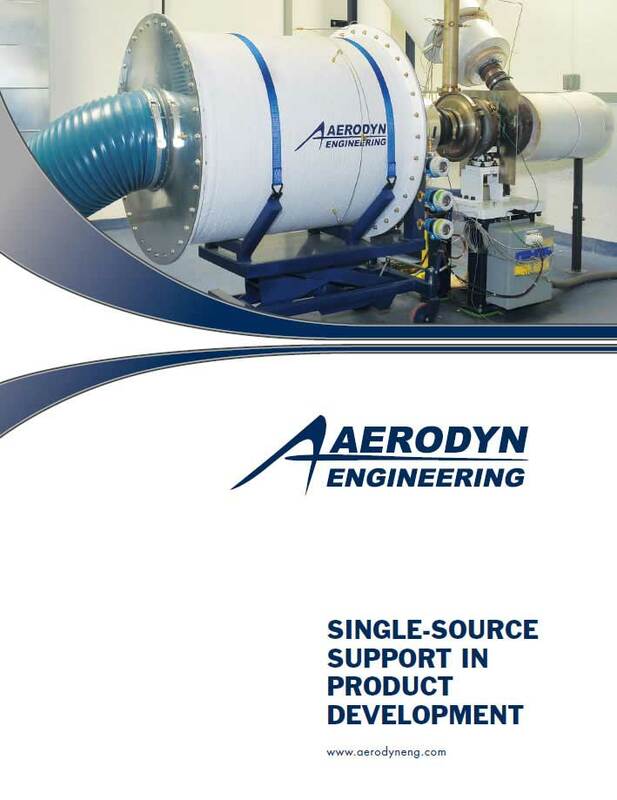 Although it looks very similar to low pressure models, the Aerodyn design team has optimized material choice, internal geometry and employed advanced manufacturing techniques to increase the pressure capability by a factor of 4, when compared against units previously available. 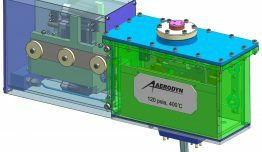 A customer needed us to develop a method of accurately traversing a special Aerodyn Inspection Probe 2m into a fabricated component. 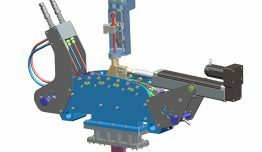 This resulted in the design and manufacture of a large Measuring Machine, which contains a new, 1000kg, 3m long, XYZ traverse system. 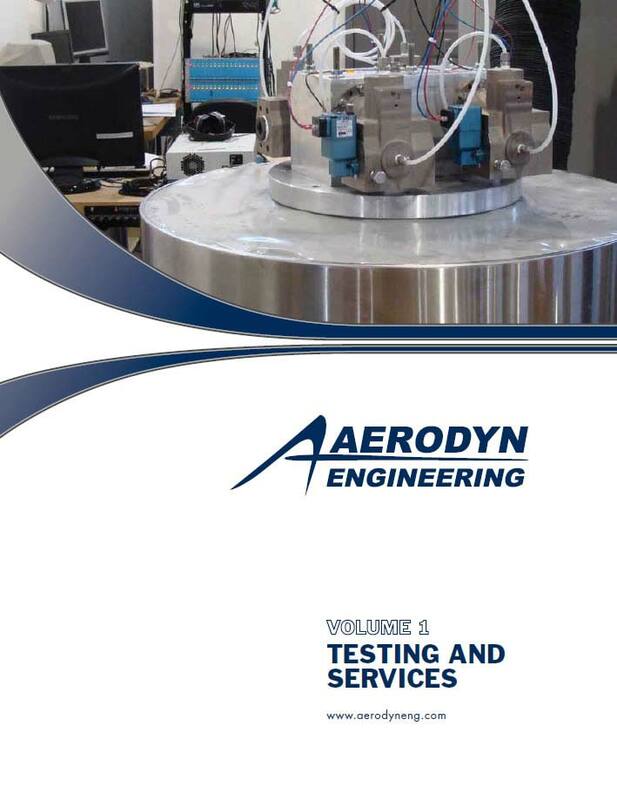 Aerodyn were required to supply an area traverse that could position a probe in a high pressure, high temperature gas flow in a turbo machine test rig. Because of the extremely small size of the test vehicle, it became necessary to design a miniaturized, combined radial and circumferential traverse system. 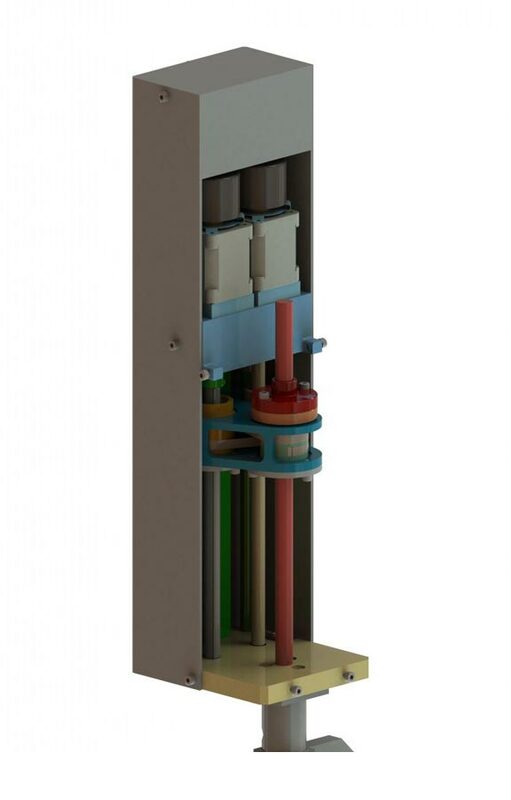 Although this repackages a lot of the technologies used in traditional traverses, it also includes several novel design features, such as the use of high temperature, self-lubricating materials, and special air seal arrangements. 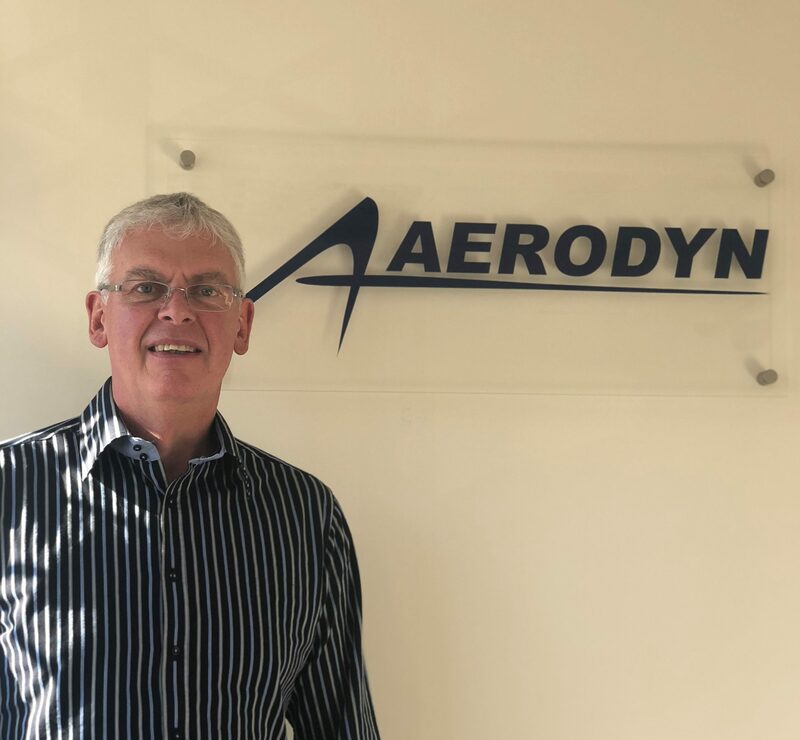 Our designers and development team are experienced in working in close collaboration with customers to design, develop and manufacture complete systems, as well as validate performance prior to dispatch. We also have technicians who are accustomed to giving on-site support and who can help with the installation and commissioning of the equipment. We are always happy to discuss your traverse requirements. Early discussions can often help to optimize test vehicle design, select the best probe type, and decide on the best possible traversing solution.  This can help customers to gather more, better quality test data from their test campaign.